Annie Jones was born in Worcestershire, England, on March 30, 1883. She and Arthur Tom Staple were married in 1907. They travelled to Canada for their honeymoon, sailing from Liverpool on the passenger ship, the Lusitania. When they reached the Rocky Mountains, Tom got a job with Canada Cement and they settled in Exshaw. Annie, community and church-oriented (Anglican), volunteered her time to raise money for the building fund for the Protestant Church by selling ice cream at the skating rink. The church was built and dedicated in 1907. On November 1, 1912, Tom became the Exshaw Postmaster, replacing Ed W. Aikins, who was dismissed for political partisanship. Tom stayed with the post office until April 18, 1913. That same year, he accepted a position with the warden service for the Rocky Mountain Park. Before the Rocky Mountains Park gate was built near the eastern edge of the park boundaries, the RNWMP registered motorists when they reached Banff, but as cars became more popular and numerous, the park licencing began to interfere with the officers’ other duties. To alleviate that problem, the park took over the responsibility of licencing visitors and set out to open the gate. At the time, the road was little more than a dusty, bumpy trail. 1904 marked the first year cars were allowed into the park. From 1905 to 1910, however, the park was closed to cars. In the early summer of 1913, while Tom was working in the Spray River District, his horse reared after they encountered a bear, throwing Tom onto a pile of rocks. Tom stayed in a warden’s cabin for eight weeks while his back healed. Dr. R.G. Brett came by horseback from Banff to care for Tom. Meanwhile, Annie was living in Exshaw in the old school house,expecting their third child. In 1916, when the Staples moved the three kilometres from Exshaw to the park gate, they used a horse and a two-seat democrat buggy to move their belongings. Annie, worried about her hard-working horse, walked next to it during their many trips between Exshaw and the tent Tom had built for them. When the gate opened on July 5, 1916, the gate was located at the present Kananaskis settlement. The location of the gate was chosen for its proximity to water and its accessibility to the post office, school, and store in Exshaw, because the site where the road entered the park boundary further east offered no amenities. Chief Warden Howard Sibbald appointed Annie Staple a game warden and the gate’s sole employee. Nearly everyone who came to the park had one thing in common: they were greeted by Annie, a tall woman with a memory that allowed her to remember names and faces year after year. Initially, the gates were open 24 hours a day, seven days a week, for the summer season only. As a car arrived at the gate, Annie recorded the driver’s name and address, the make and colour of the car, and the amount charged for the park licence. In 1916, it cost $1 for a week and $4 for a month to enter the park. 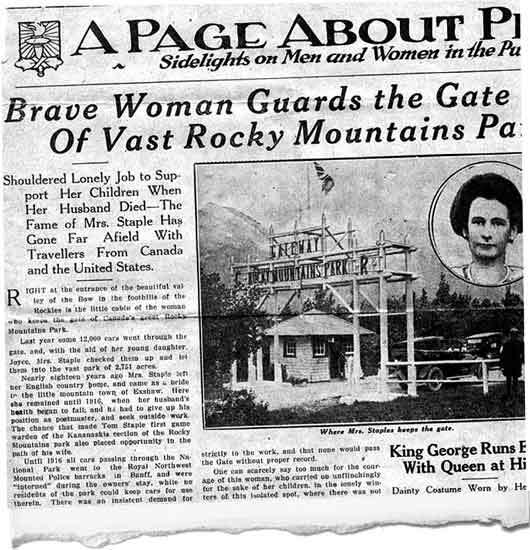 On opening day, the driver of the second car to pass through the gate promptly reported Annie to the RNWMP when he arrived in Banff, believing she was pocketing the money for the park licence. When it first opened, the gate consisted of a tent and a heavy, wooden table that sat under a tree. The tent was home for Annie, her husband Tom, the warden for the park’s eastern division, and their three children. On warm, windless days, Annie’s “office” was under the tree. When it rained, she moved her office into the tent. In the fall of 1916, the Staples moved into a five-room house that two carpenters and their helpers built during the summer. The timber archway that greeted motorists to the park was built the following summer in 1917,along with a small office to one side of the arch for Annie to work from. On each side of the road, four logs were anchored vertically to the corners of a cement pad. Four crosspieces stretched across the road, completing the arch, while a rectangular section was added to the top, which carried the word “Gateway” in large wooden letters. Below that was “Rocky Mountains Park,” flanked by the letters “G” and “R,” which stood for George Rex (King George V). The Union Jack flew from the top of the gate. The park’s first permits were large, rectangular license plates attached with wire to the front and back of a car. Annie removed the plates as each car left the park. She washed the plates in water from a nearby creek and reused them. The park eventually stopped using these large plates and switched to a round sticker that bore the image of an animal that changed each year. The famed buffalo plates came into use in June 1925 and the metal used in the plate changed each year, alternating between aluminum, copper and brass. Tom died in 1919. Four months after Tom’s death, Annie gave birth to their fourth child. Annie and her children (Tom, Joyce, Geoff, and Albert) were not alone at the gate. The RCMP stationed Constable Carstairs at the gate for two summers, while Miss Mills opened a tea house in a canvas tent in about 1919. Park visitors could stop and eat a simple meal at tables set up outside the tent before heading off down the highway. The second owners, the Meads, built a house and moved the tea house into it. Marion Paxton eventually bought the business from the Meads and operated it until the gate moved in 1930. For some time, Annie had no way to quickly alert anyone if a problem arose, because the only phone in the area was at the cement plant in Exshaw. The phone line was unreliable at best. Later, the gate was equipped with a telephone and a switchboard that connected Annie to the Exshaw cement plant and to RCMP Constable William Fleming, also in Exshaw. In 1925, it was determined that the gatekeeper would be issued an official uniform, including a navy blue dress, cap, and jacket with brass buttons. In 1930, the park boundaries were shifted eleven miles west, removing Exshaw and Canmore from the national park. 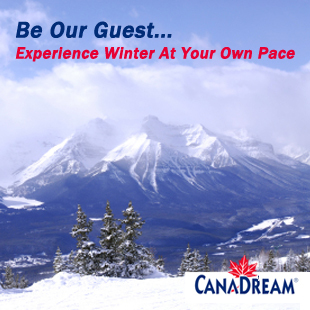 The name was also changed to Banff National Park, and a site was chosen for a permanent east gate. Small shacks were built at a temporary site just west of the permanent site (still in use today). The temporary site was to be used for six months only while the permanent gate was being built. Six years later, Annie moved her office into the finished gates. On October 7, 1935, while at the temporary gate, three men arrived at the gate and told Annie they had no money to pay the park licence fee. Annie refused to let them enter. As they turned around to head back east, she noticed one side of the car had been damaged. She phoned the RCMP in Banff to report the car. The three young Doukhobors, Joe Posnikoff, John J. Kalmakoff, and Pete Woiken, were wanted for the murders of two police officers, one with the RCMP and the other a constable with the Town of Benito, Manitoba. Annie remained at the gate relaying messages for the RCMP as the events unfolded, culminating in the death of two more police officers and the three Doukhobors. In November, the RCMP Commissioner, J. H.MacBrien, wrote Annie to thank her for her help in the matter. During her time as the gate-keeper for Rocky Mountains Park and later Banff National Park, Annie had the opportunity to sit and chat with R.B. Bennett, Canada’s 15th Prime Minister; singer, Galli Curri and her husband; and Winston Churchill. King George VI and Queen Elizabeth; Gracie Fields, and the King of Siam also passed through Annie’s gates. The Duke of Kent even saluted her as he passed through the gate on his way to Banff. 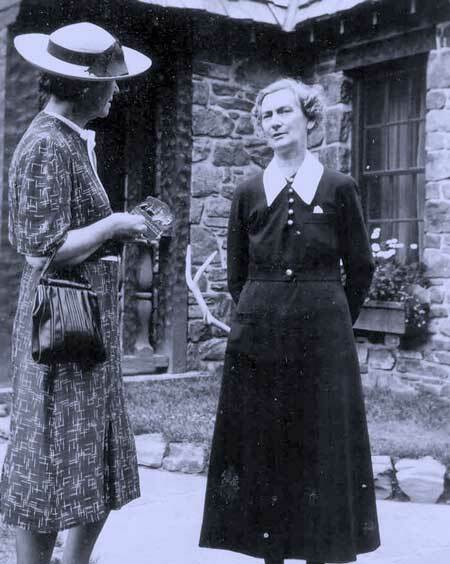 Annie retired from the park service in 1948 at the age of 65. In 1963, Annie received a special gift for her 80th birthday from the members of a regiment of the Canadian military that had used one of the buffalo plates as its regimental mascot while overseas. 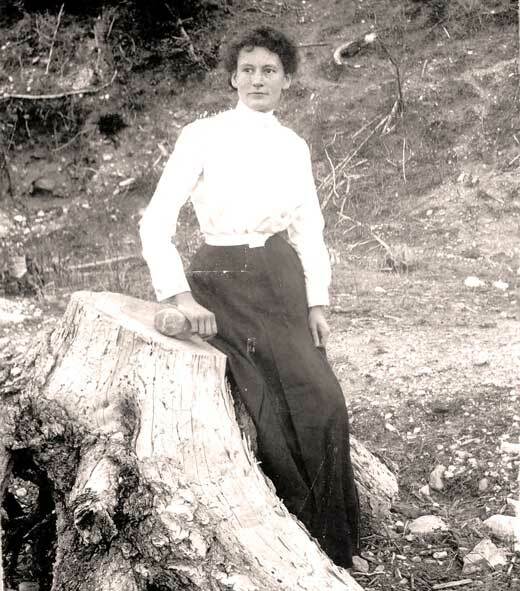 She died in 1973 and is buried in the Old Banff Cemetery. Photos Credit: Courtesy of the Staple family. Photo #3 from top; Annie Staple wearing her new uniform issued in 1925. 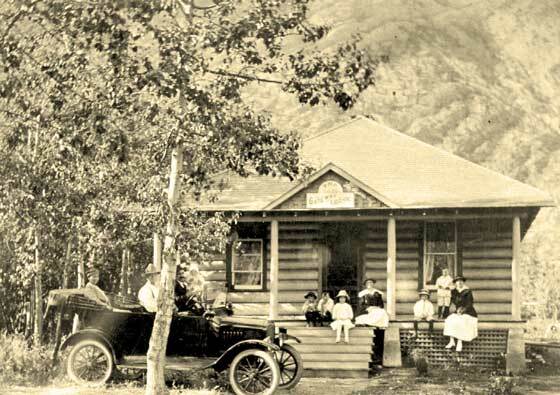 Photo #4 from top; A family reunion at the Staple’s home, Gateway Lodge, located at the Rocky Mountains Park east gate, Circa 1918.